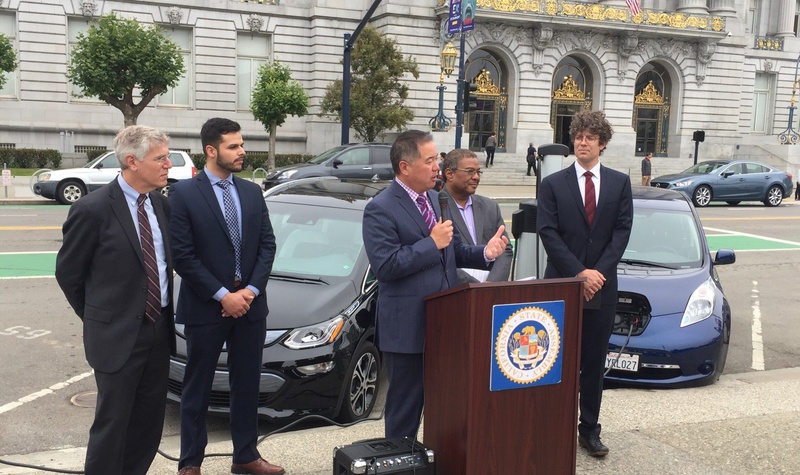 In one of the most hopeful moments in years for advanced energy, the major forces in California politics – Governor Jerry Brown, leaders of the Senate and Assembly, labor, the environmental community, and advanced energy businesses – are coming together to extend the state’s landmark greenhouse gas reduction law, AB 32, which expires in 2020. That law calls for the state’s GHG emissions to be reduced to 1990 levels. With that goal clearly within reach, the question became: what’s next? In his inaugural address in January, Gov. Brown called for new targets: reducing GHG levels to 40% below 1990 levels by 2030 and 80% below 1990 levels by 2050. It is behind these goals that California’s political stars now seem to be aligned. This past November, California voters overwhelmingly passed Proposition 39, which will raise an estimated $550 million a year over the next five years to underwrite energy efficiency and advanced energy projects in schools. Savings generated by these improvements will be plowed directly back into classroom instruction, providing significant relief to cash-strapped school districts.